Since 2010 (when we started at the 200 pt championship level), Lobot has been in 31 Regional winning squads. That's even more squads than ones that contained uggies or mice. Also - since 2010, Lobot has been in EVERY world championship squad. No other figure can claim that. Lobot - I declare you the most winning figure ever! I checked the numbers based on a (ridiculous) poll on Bloomilk about which Lobot is better. Lobot is good? When did that happen? sithspawn! !............now I know why I only finished 7th! Yeah, and in a meta as diverse as this one, you quite simply need the flexibility he offers if you want to have a hope of handling the field. Yeah this isn't very surprising. Although it would be interesting to see how often people played Lobot without any Ugnaughts or Mouse Droids in the main squad who brought one or the other in every time, since I think that would count towards their numbers too. Obviously no way to know for sure. I thought about this, and in a way I think this emphasizes the value of Lobot even more. He can bring in the 2nd and 3rd most popular figures (and a whole lot more) if you need them. I do have to agree with Echo. Would Lobot see nearly as much play paticularly before Cantina Brawl and Vset 3 if it wasn't for the "Mouse Dump" I think were giving Lobot the credit that should be given to Mouse Droid or Gha Nact. Of course though if we do that we open up that entire debate that was around I.E. that was if Mouse droid was to good. I would say I have used the 10 mouse dump in competitive play maybe 4 times. Actually one of the biggest benefits to Lobot is the possibility of an MTB. Having an MTB in your base squad is stupid, so without fringe reinforcements (or now bribery), you can't use an MTB. One of my most frequent sets of reinforcements is an Amanin Scout and an R7. 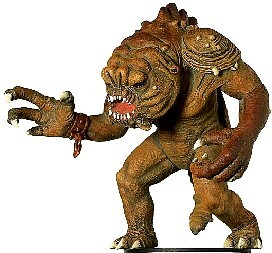 I also will do 2 rodian brutes, a gran and a twi'lek bodyguard. If you think Lobot's main function (even before Cantina Brawl) is the mouse dump, then you clearly don't understand Lobot. One of my most frequent sets of reinforcements is an Amanin Scout and an R7. That makes it really super obvious that you use Lobot most often in a specific manner (with swap squads). That isn't even close to the only way to use Lobot. In fact, I use Lobot all the time, and have brought in an Amanin Scout... well, I don't I've EVER brought in an Amanin Scout with Lobot. That's because I rarely play swap squads. I do, however, play tempo-based squads and stuff like Solo Charge and Smug Commandos. That means I've used the "10 Mouse Dump" A LOT. It made the championship game in 2010 a relatively easy game instead of quite difficult. Outactivating Brandon was pretty much necessary for me to have a chance to win. I've also used it in both that squad (Smug Commandos) and in Solo Charge all the time to block paths for my opponent and just have greater board control than normal. I brought 10 Mouse Droids pretty regularly in the 2011 Championship (I was playing Solo Charge then). So yeah, in my experience (particularly in high level play, most of all my 2010 Championship run) the 10 Mouse Dump is a really good reason to use Lobot in a lot of squads. Of course it's not the only reason, and is a lot less common nowadays, but there was a time where it was his main use, especially in certain squads. Lobot would probably still have been popular even without Gha, but I do think it would have been less so. Yes, being able to dump 10 mice on the map is useful...but why not just place those 10 mice in your squad right from the start? You could actually get 3 more mice with that method. I think the reason that people use Lobot in the dump squads is because they aren't forced to take a dump and have the flexibility to take something else instead...oh yeah, that's what we were talking about as Lobot's greatest advantage: flexibility! One of the main reasons I inisted and bugged the heck out of HannahCannon till he agreed to play in the VSet only tourny was to see what life was like without Lobot and mice. The tourny I felt was very matchup oriented. When I played Echo in rd 4 a Lobot bringing him a Baron De Sage or mice would have pretty much taken away any advantage I had with Jango Fett, Assassin and clogged up Jaina Solo pretty badly. So I guess in this case its how you look at it. Was it better that an inferior player (me) managed to beat a by far better player (echo) simply because Lobot was not around to even or even switch the style of the match. Or would it have been better that Lobot be allowed to flip the match around with answers tech. So yeah I guess he is the most powerful piece and possibly very broke because he can change an entire matchup just by showing up..
...oh yeah, that's what we were talking about as Lobot's greatest advantage: flexibility! I think the reason that people .... dump .... is because they aren't forced to take a dump .... flexibility! I skim read your post Trevor and read this. There is no right way to play lobot, he's a tool. The only wrong way to play him is to let him get killed early without worthy exchange. Lobot is The piece that will only ever improve and out last all others because its strength is not in the figure but what it gives you. It moves seamlessly with the power creep because what he brings is always improving and the fringe has options that is so varied you have far more than necessary. Part of his magic is that a piece with override is worth about 7 points so you don't overspend on him and on rare occasions you may get more from him. Cantina Brawl bumped him large. Evasan, Figrin, Ponda all great pieces offering options that can compete with the 10 drop in some match ups. Lobot was Robs best piece. However, i don't think its necessary to use him. He isn't always useful particularly if you have a factioncentric squad like Gerry's soviets. Lobot didn't bring enough to be included in Lobbin' Luke but Lobot is an easier build in 200 being a lower % of total. I know, but just because you weren't speaking directly to me doesn't mean that I can't disagree with you. Absolutely true. Lobot doesn't fit in Naboo squads; the options that he can give you just aren't terribly useful, and you have to take out so much to put him in, it just doesn't work.